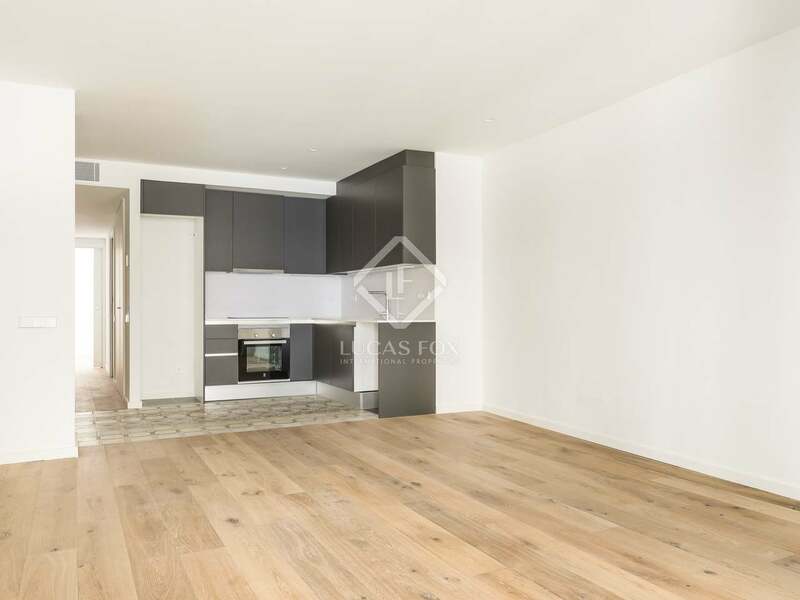 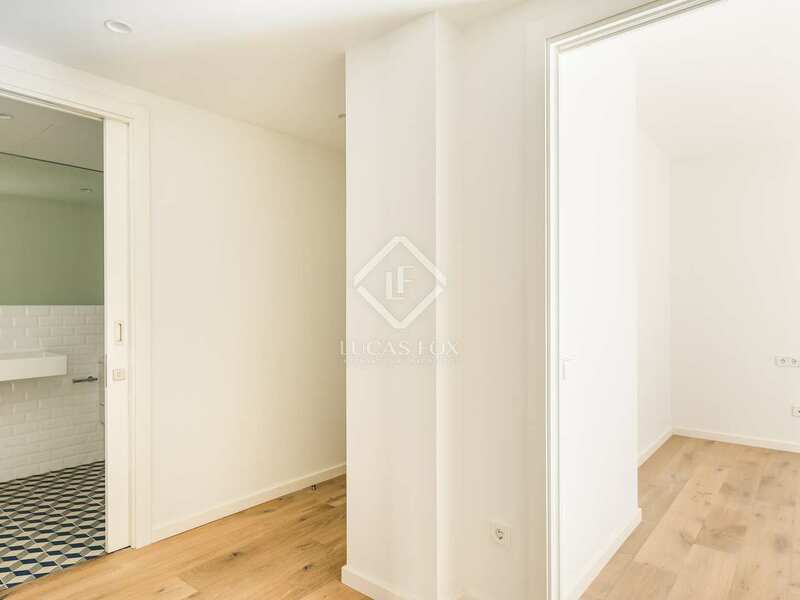 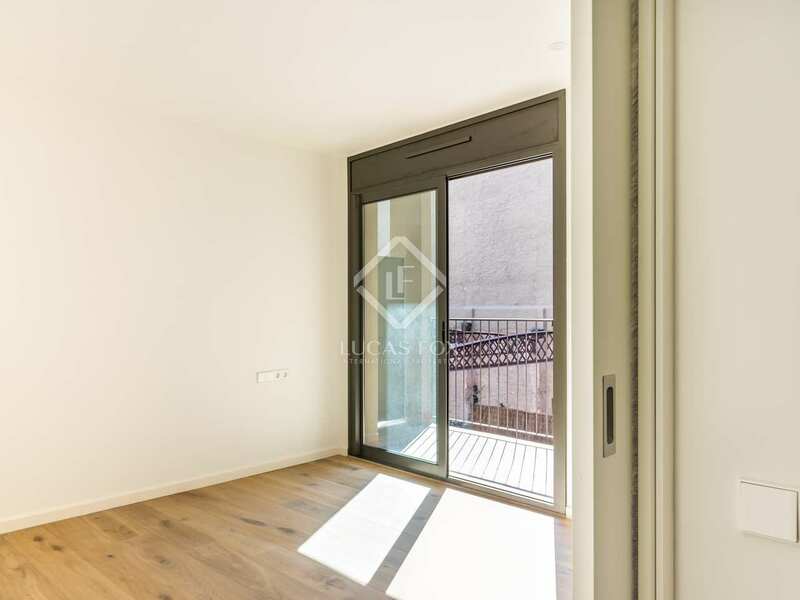 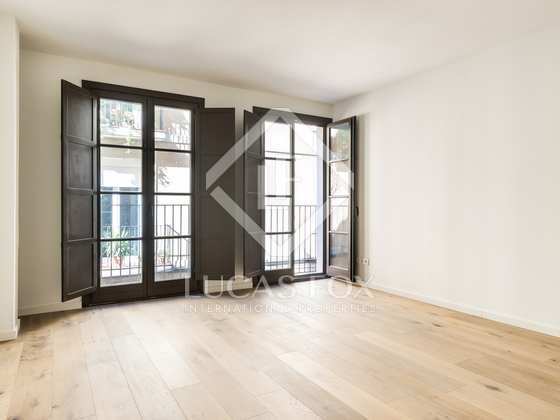 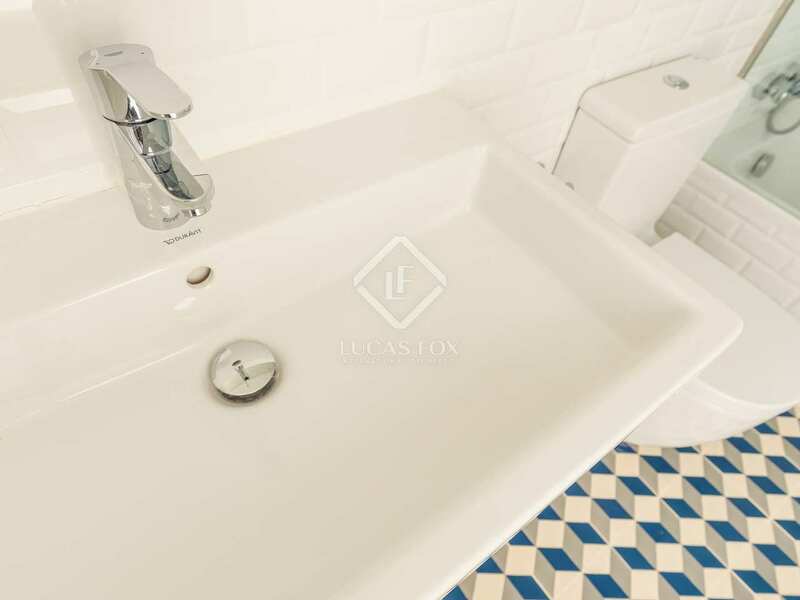 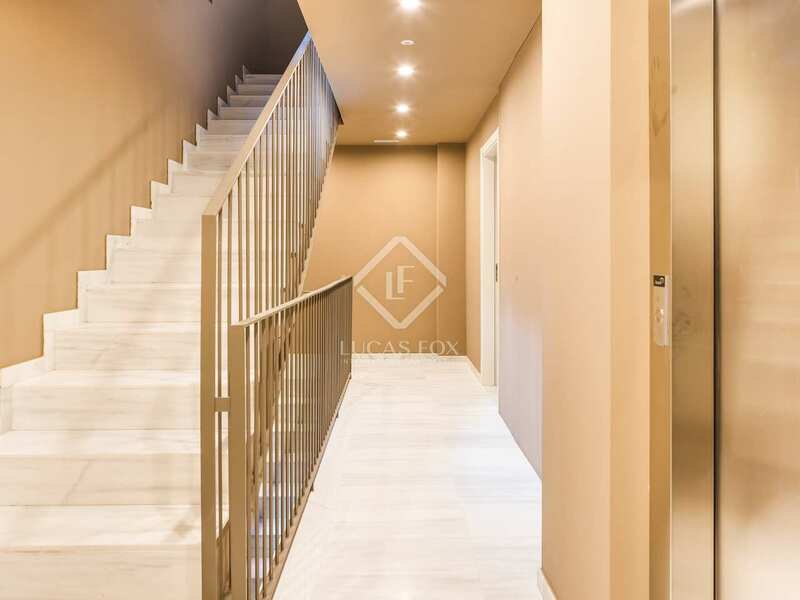 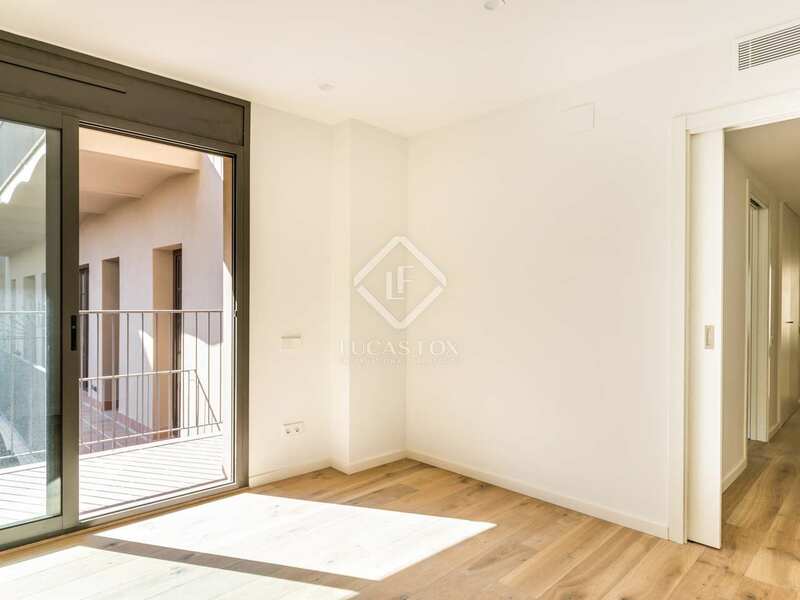 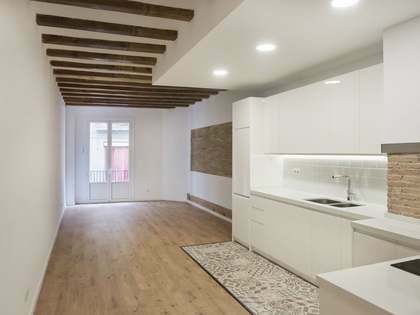 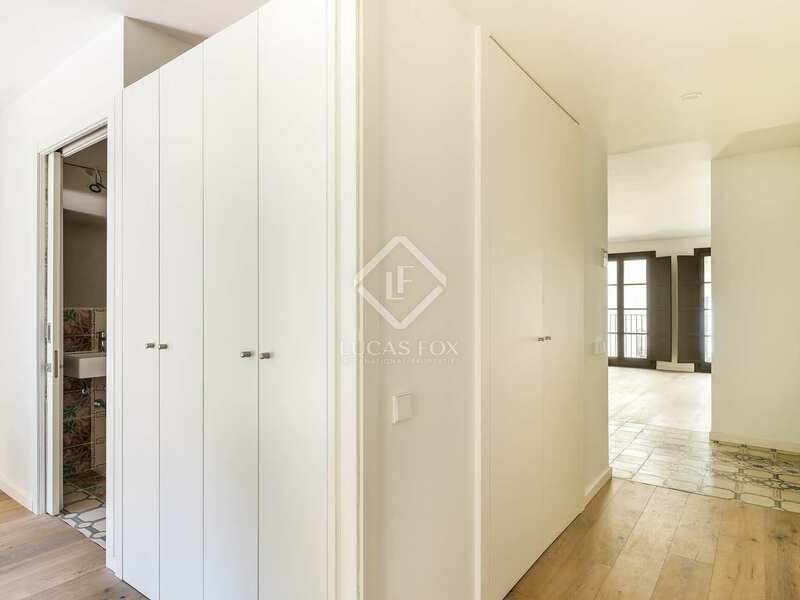 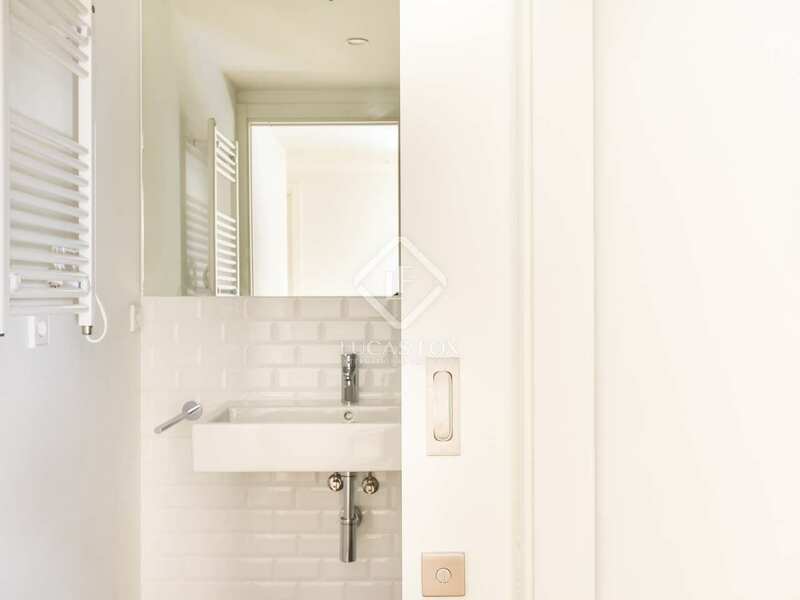 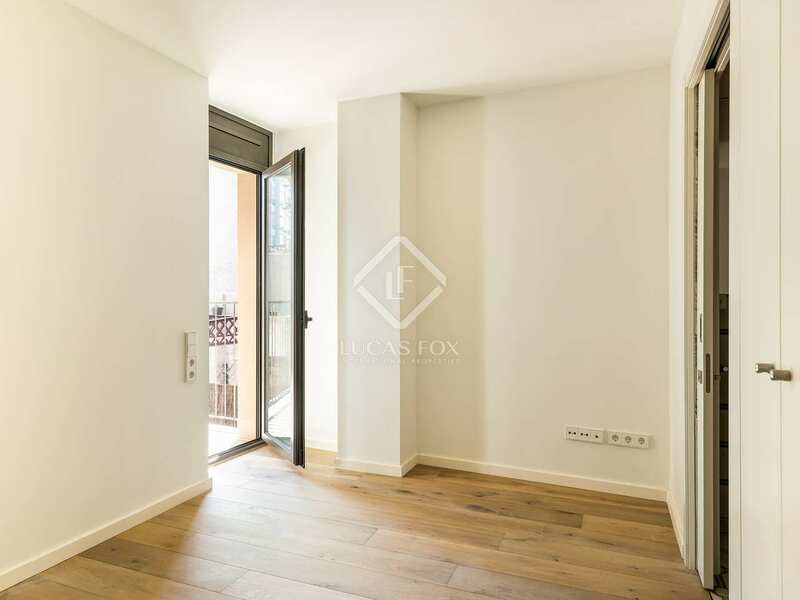 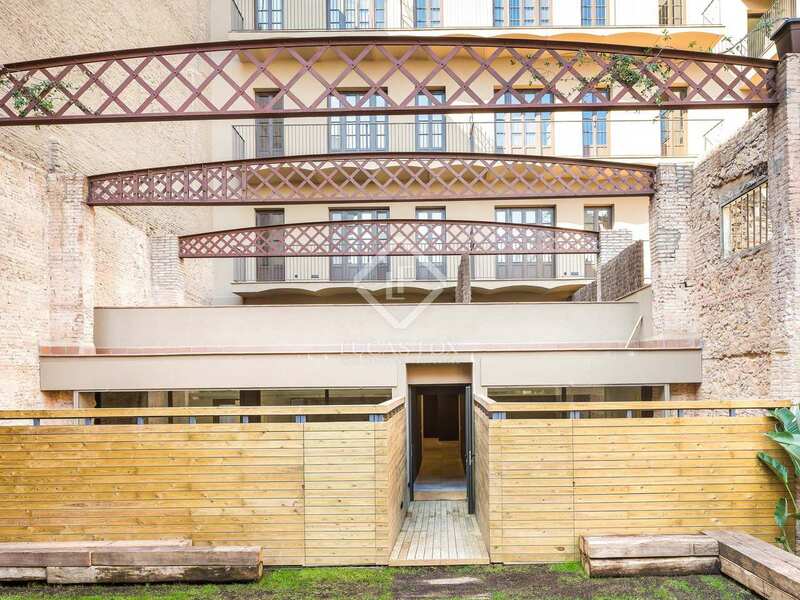 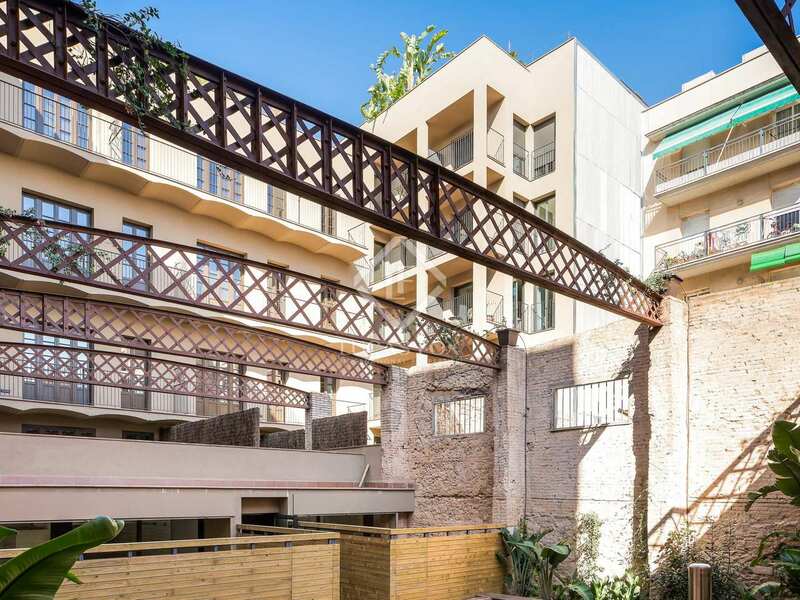 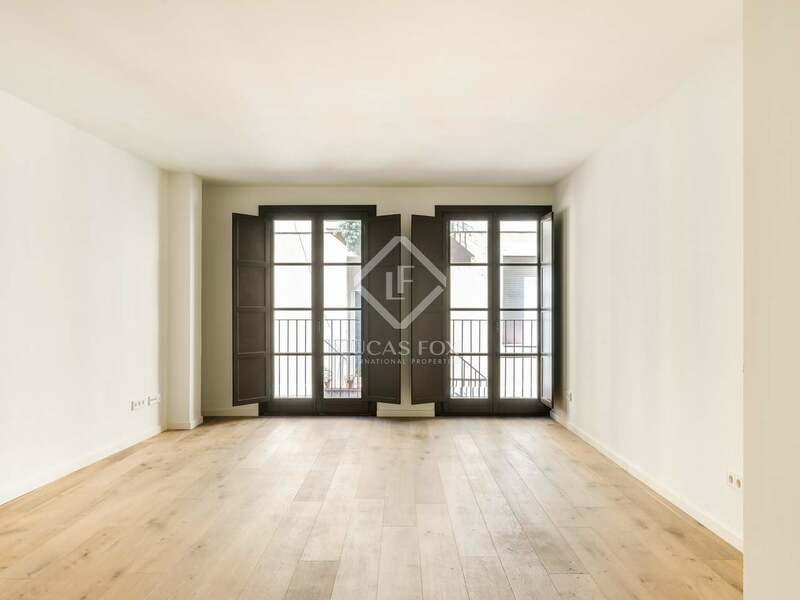 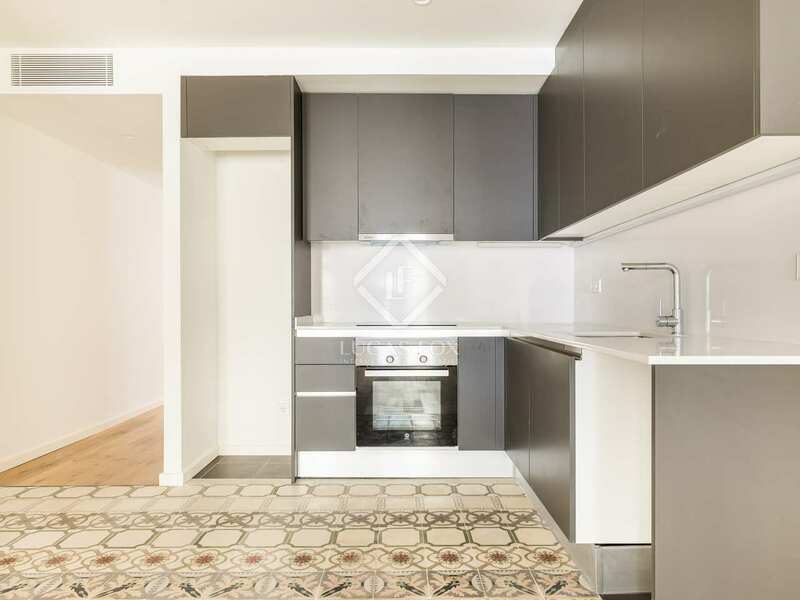 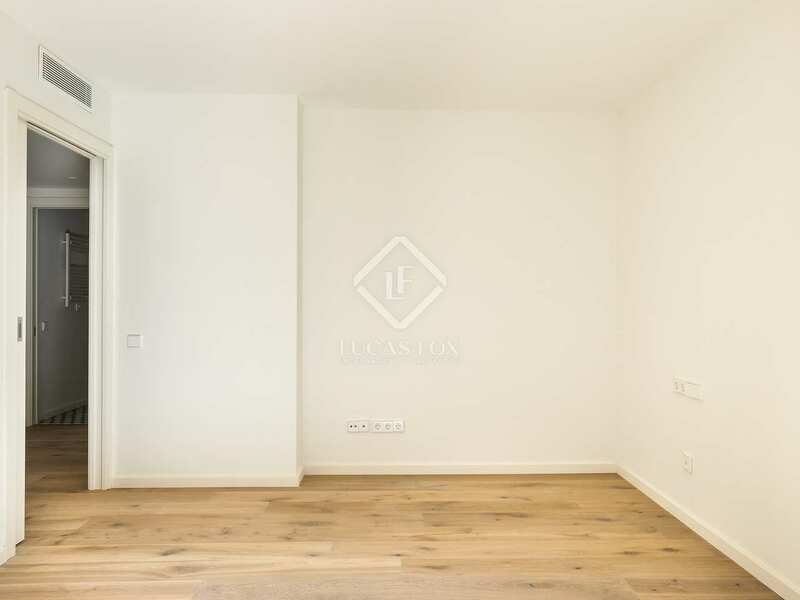 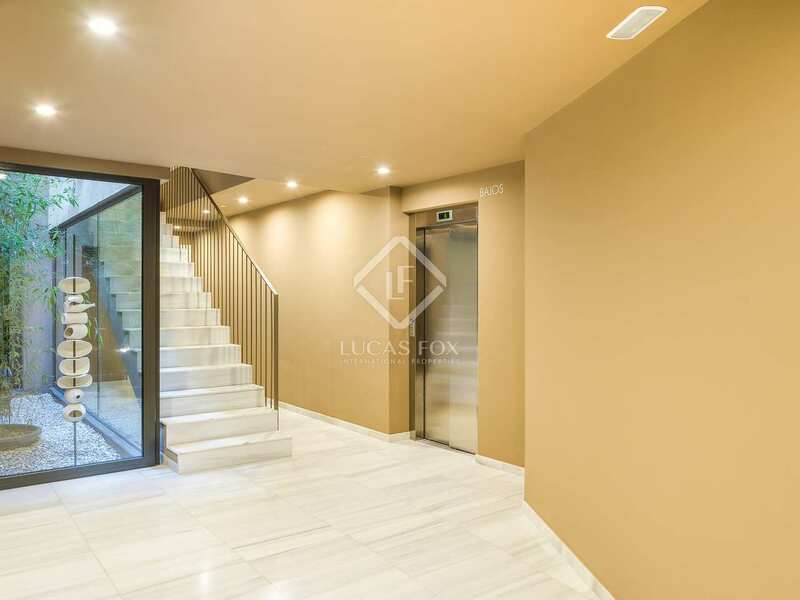 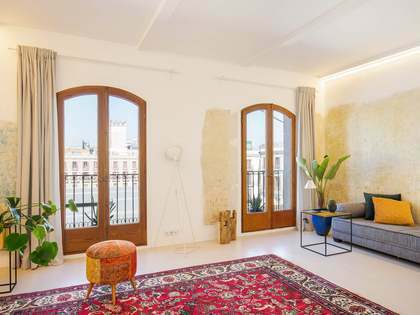 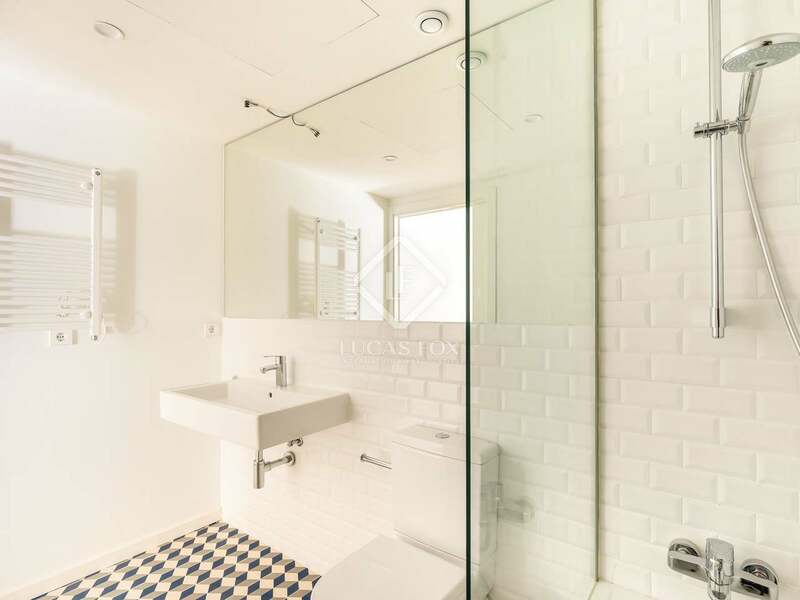 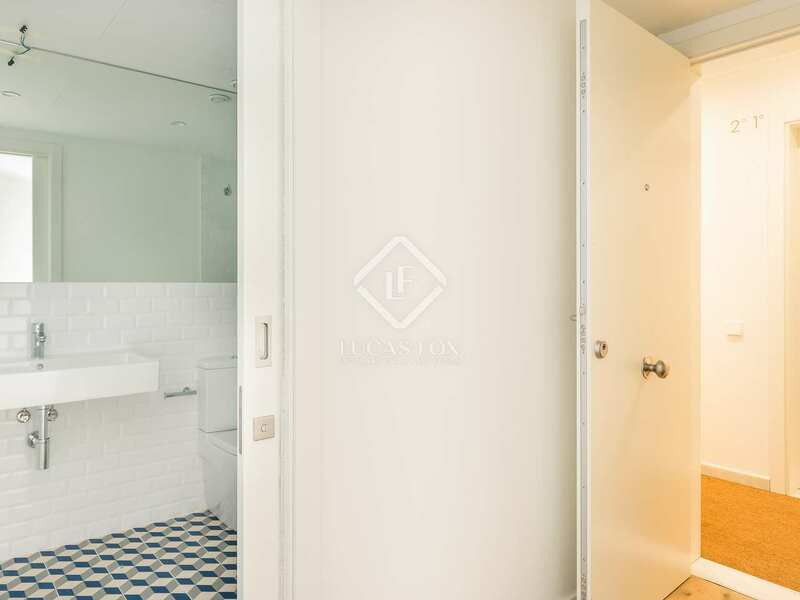 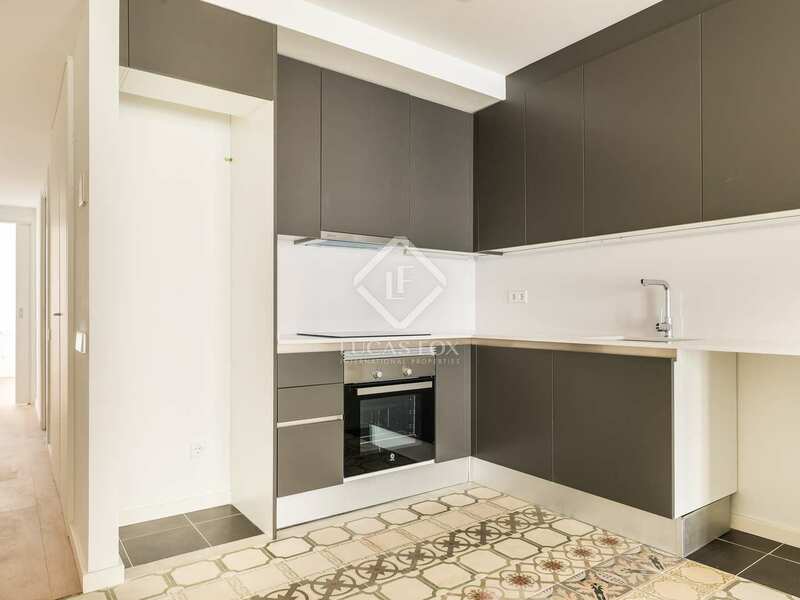 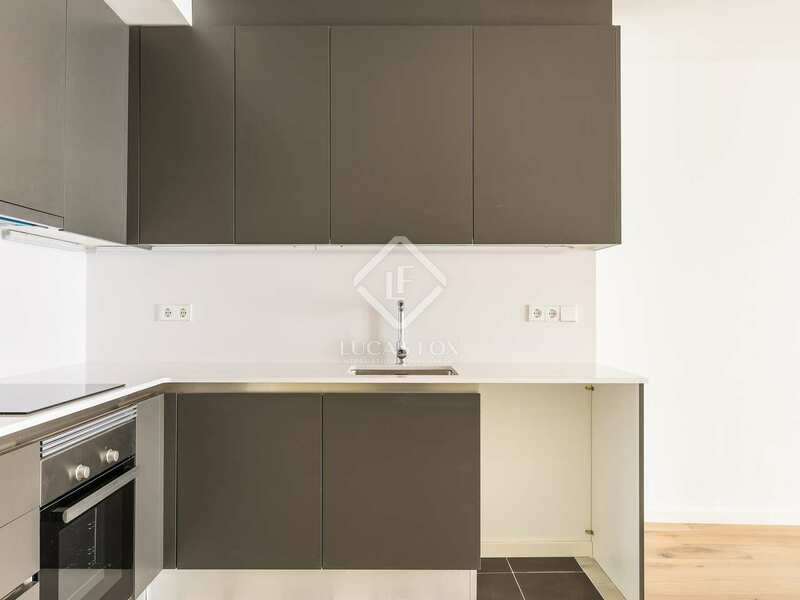 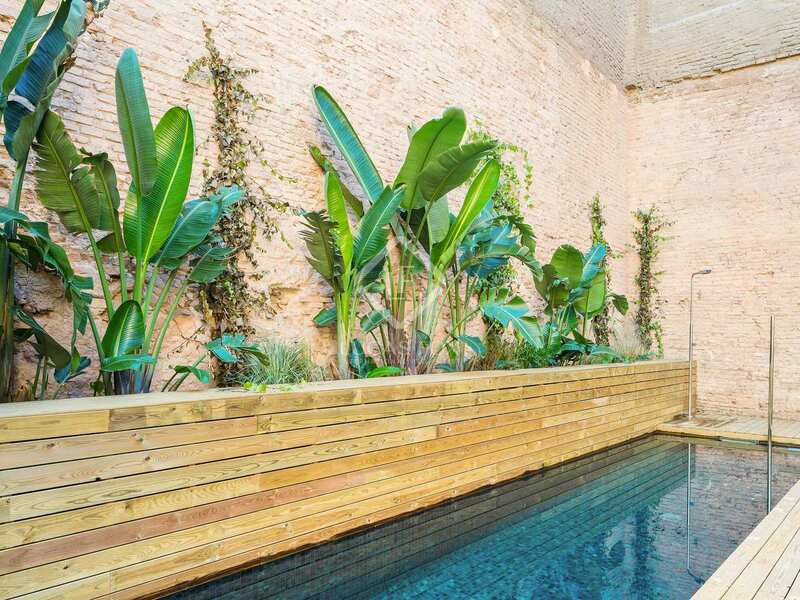 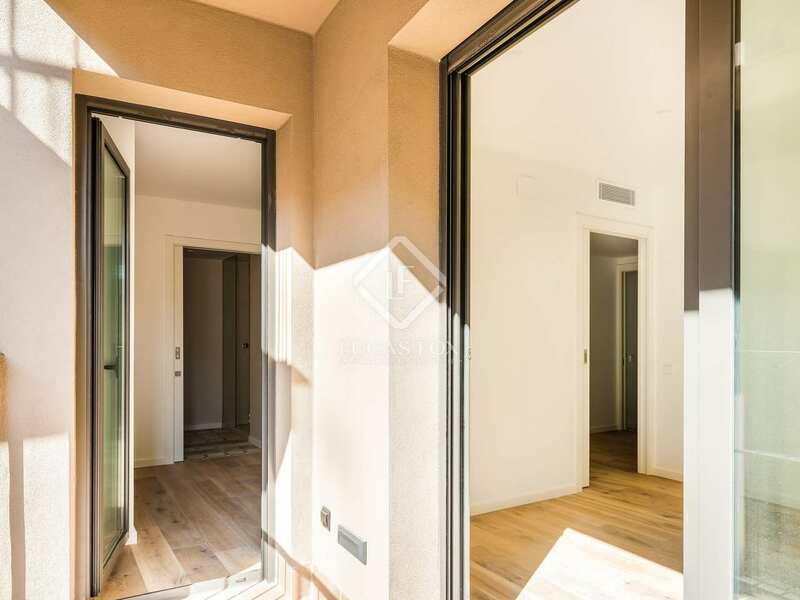 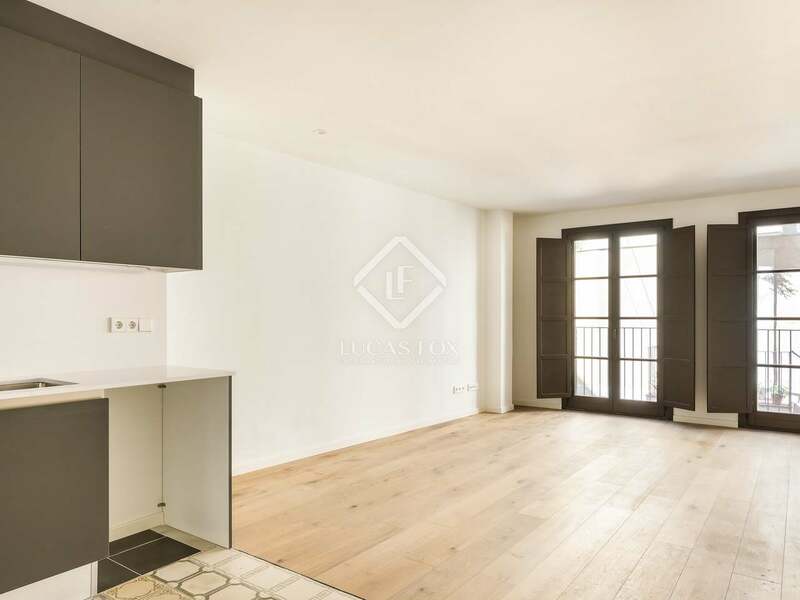 This renovated 82 m² apartment is withing a new building with a lift, in the very centre of Barcelona and with a terrace and a pool. 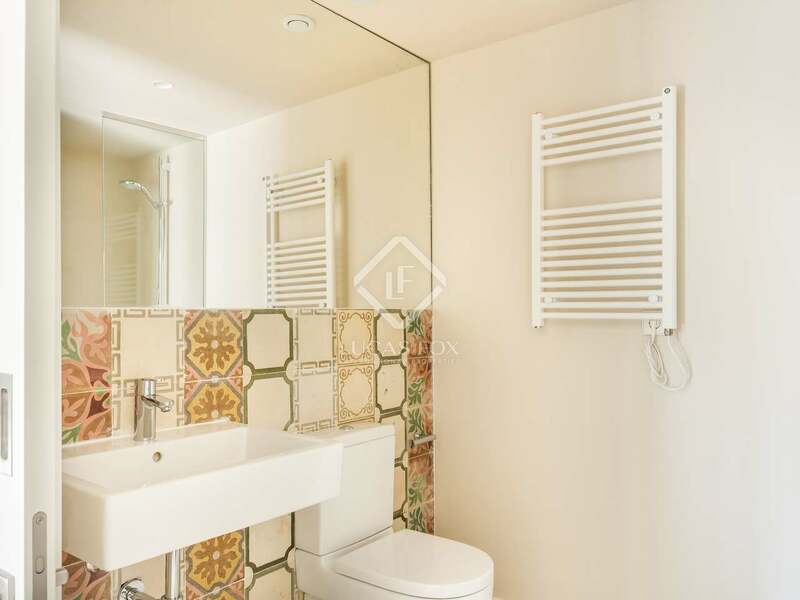 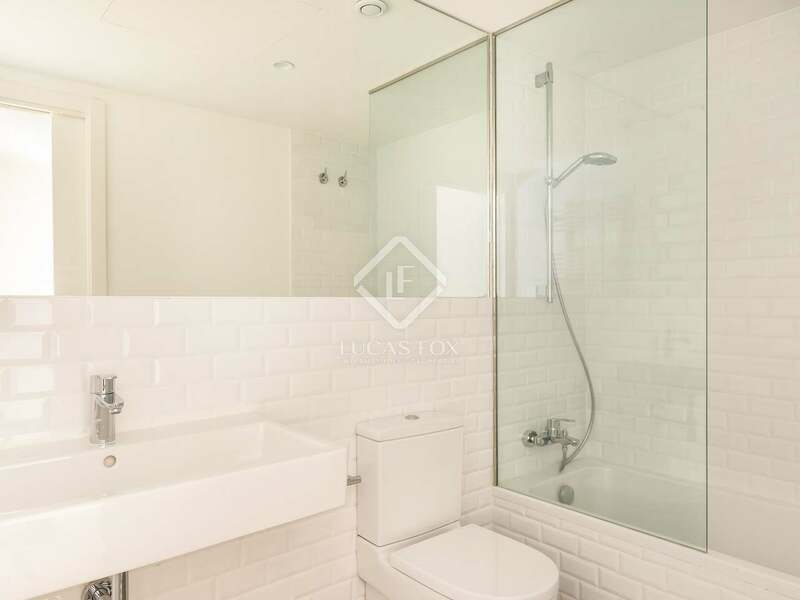 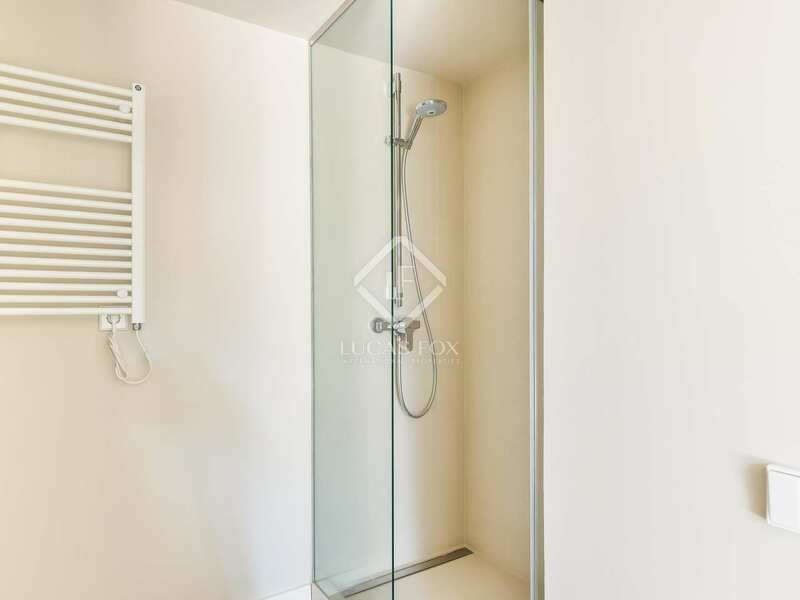 The apartment has 2 double bedrooms, one of which has a private bathroom. 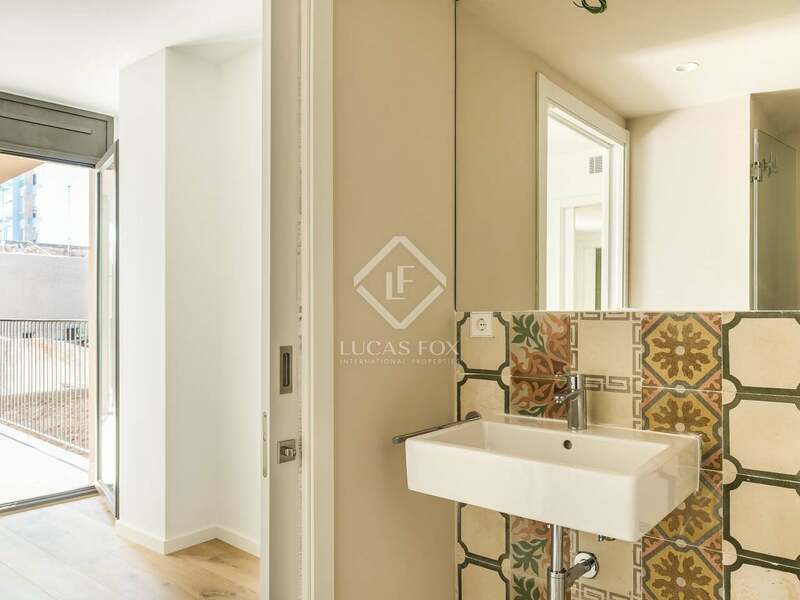 The living-dining area has an open, fully equipped kitchen and there is also a bathroom. 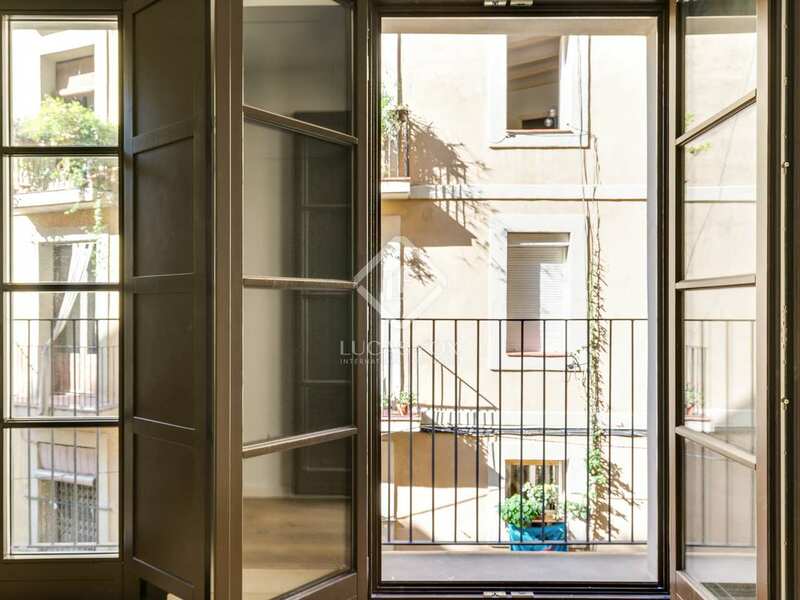 There are 2 balconies to the front of the house and a terrace to the rear, filling the rooms with natural light. 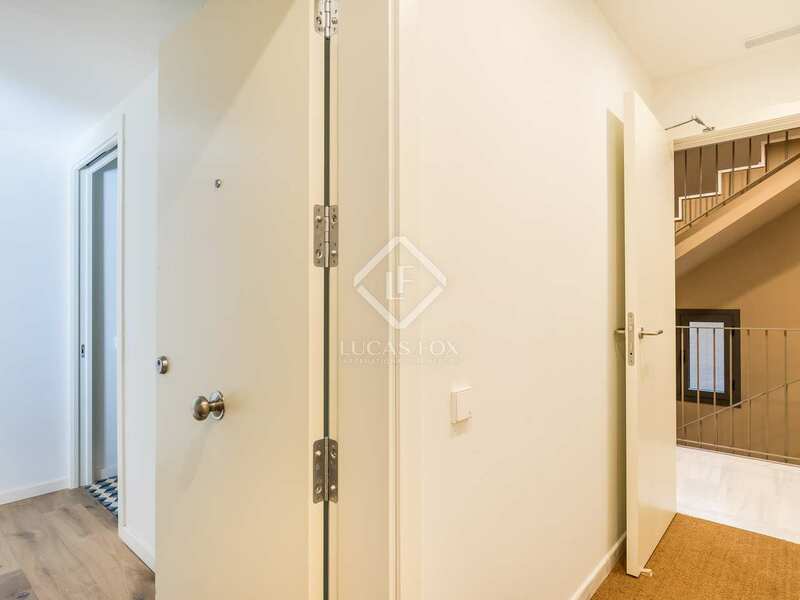 A storage room is included. 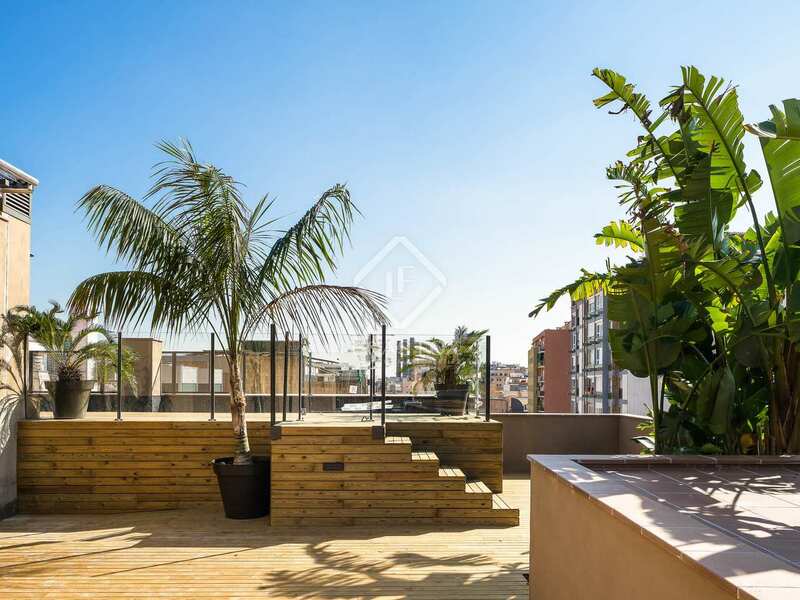 As well as being able to enjoy the balconies and terrace, residents can also access a communal terrace with a swimming pool, perfect for relaxing and enjoying views across the city. 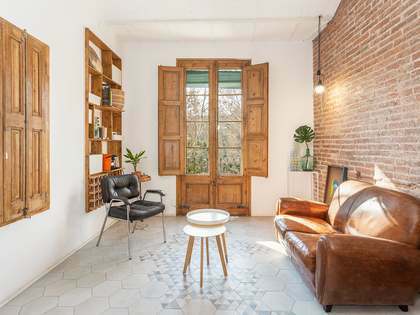 The floor is an attractive combination of wood and mosaic tiling. 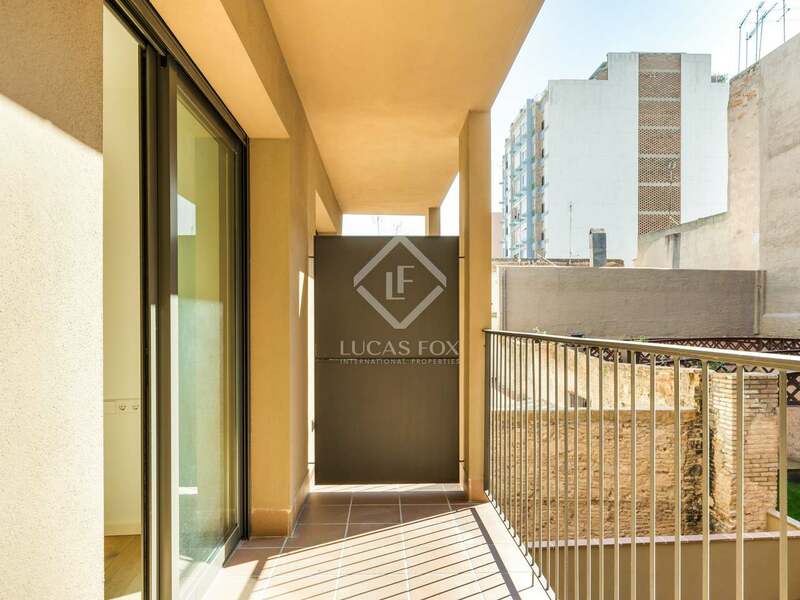 The apartment has double glazing, central heating and air conditioning to ensure year round comfort and an alarm system for security and peace of mind. 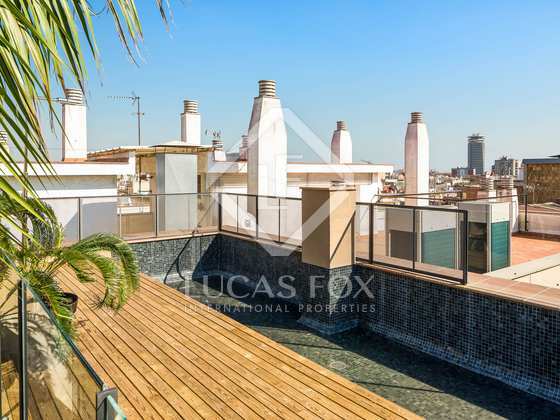 Contact us for more information about this magnificent city centre home. 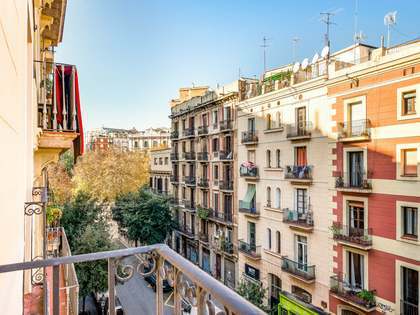 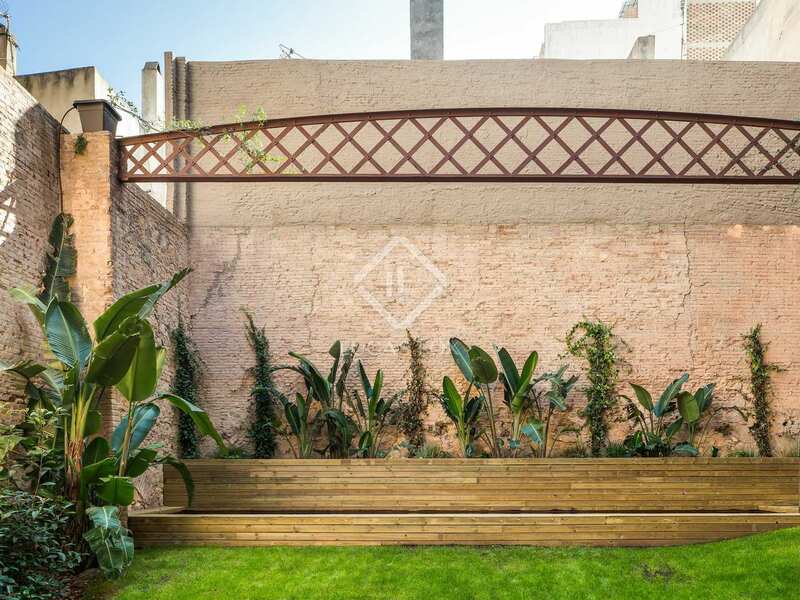 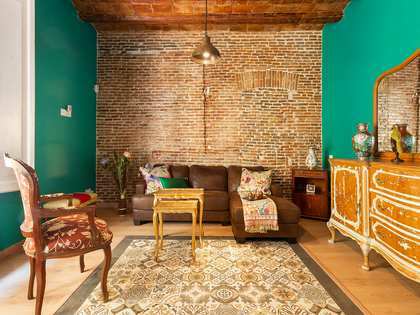 The apartment is located between El Raval and Sant Antoni, a sought-after area of ​​Barcelona in the heart of the city. 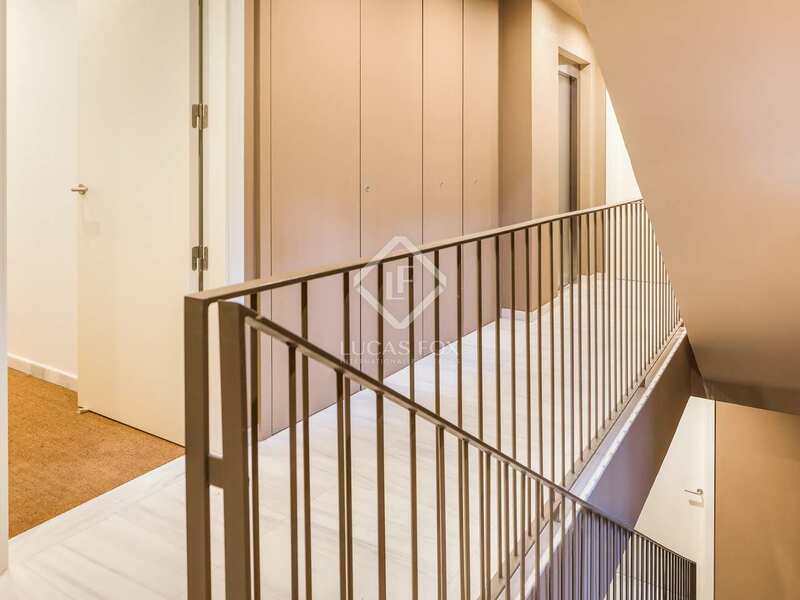 This neighborhood offers all kinds of services: supermarkets, commercial area, restaurants, leisure, etc. 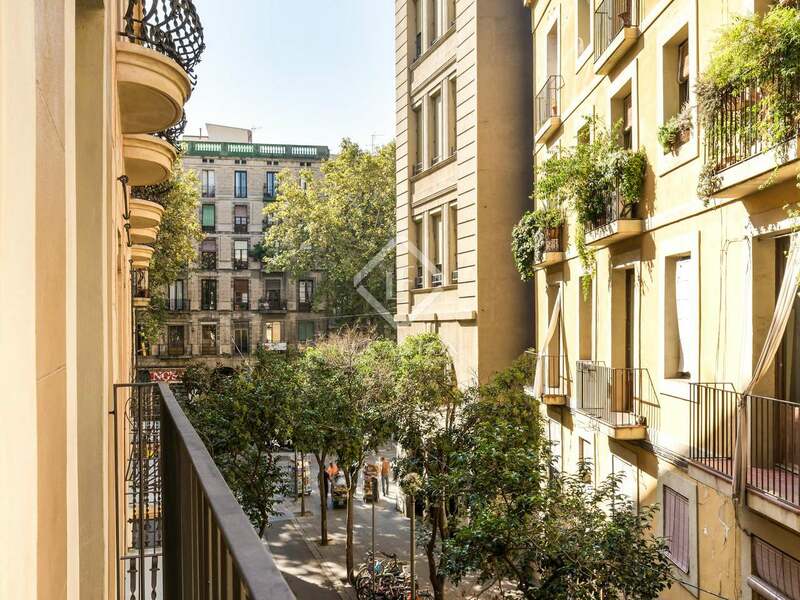 It is an emblematic area of the city where you can enjoy long walks discovering the streets of Barcelona and visiting monuments or tourist attractions. 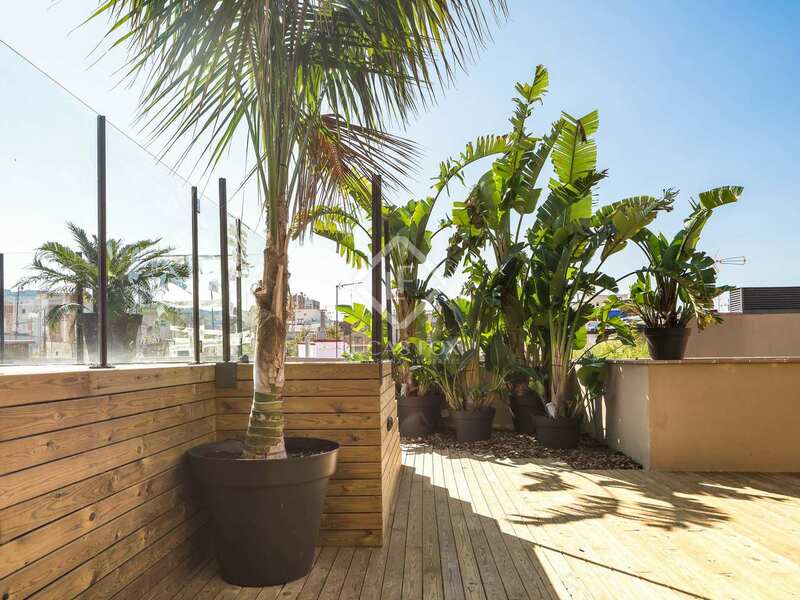 This area also benefits from excellent public transport.